Tax on notional rent on unsold real estate inventory to be levied after 2 years vs. 1 year previously. 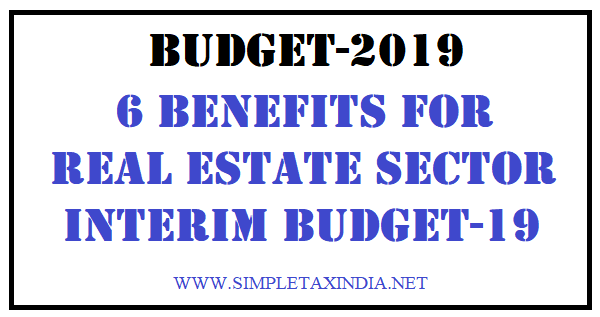 Exempted notional rent applicable on second self-occupied house. Threshold limit for TDS on rental income increased to Rs 2.4 lakh per annum from Rs 1.8 lakh per annum previously. Capital gains limit u/s 54, raised to Rs 2cr and will now be available for two residential houses instead of one earlier. A Group of Ministers has been formed to discuss the measures to reduce the GST burden on home buyers. 2.Exempted notional rent applicable on second self-occupied house. Impact :Likely to benefit middle class families who have to maintain families at two locations on account of job, children, care of parents, etc. 6.A Group of Ministers has been formed to discuss the measures to reduce the GST burden on home buyers.